Please note that the content of this book primarily consists of articles available from Wikipedia or other free sources online. Team OS/2 was an advocacy group formed to promote IBM's OS/2 operating system. 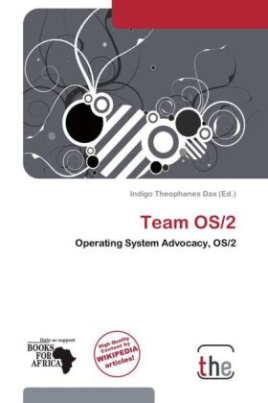 Originally internal to and sponsored by IBM, Team OS/2 became a wholly grassroots organization following IBM's decision to de-emphasize OS/2.Team OS/2 was a significant factor in the spread and acceptance of OS/2. Formed in February 1992, Team OS/2 began when IBM employee Dave Whittle, recently appointed by IBM to evangelize OS/2 online, formed an internal IBM discussion group titled TEAMOS2 FORUM on IBM's worldwide network - which at the time had a more extensive reach than the Internet.